Jason Donovan Strictly Come Dancing signed 12x8 inch photo. 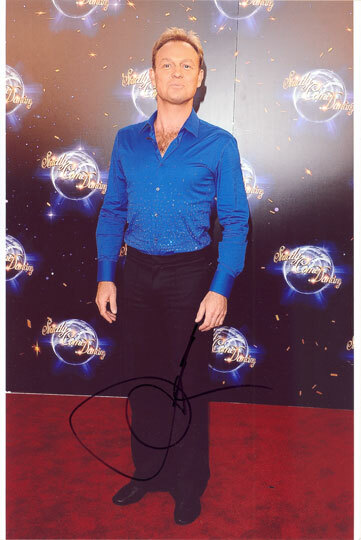 12x8 inch colour photo personally hand-signed in black sharpie pen by television and stage actor and singer, Jason Donovan, pictured on the 2011 series of Strictly Come Dancing. Donovan initially achieved fame in the Australian soap opera Neighbours, before beginning a career in music in 1988. In the UK he has sold over 3 million records. He has had four UK No. 1 singles, one of which was "Especially for You", his 1988 duet with Kylie Minogue. He has also appeared in several stage musicals, most prominently in the lead role of Joseph and the Amazing Technicolour Dreamcoat in the early 1990s.